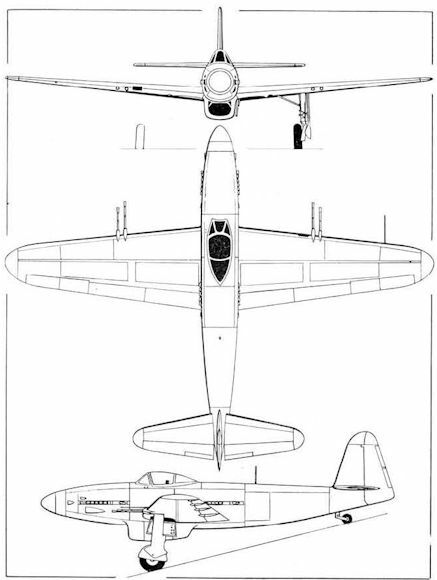 The VB 10.02 which began flight trials at Villacoublay on 21 September 1946. The VB 10.02 which began flight trials at Villacoublay on 21 September 1946. The photograph illustrates clearly the ease with which engines and accessories could be reached by means of large detachable panels. The first SNCAN-built production VB 10, which flew for the first time on 3 November 1947. 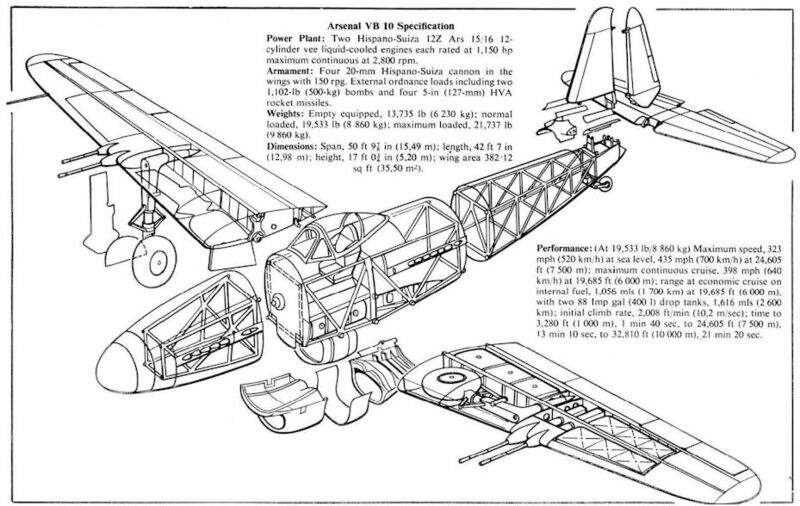 This featured redesigned and taller vertical tail surfaces, and armament was confined to four wing-mounted cannon. 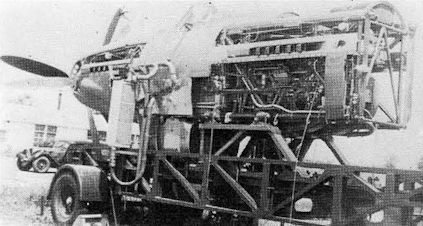 The forward and centre fuselage sections of the VB 10.02 mounted on a provisional mobile test-bench at Bron.